The Royal Institution of Chartered Surveyors (RICS) is a professional body that accredits professionals within the land, property, construction, and infrastructure sectors worldwide. Individuals holding the professional MRICS or FRICS designation are entitled to use the professional title designation "Chartered Surveyor" and variations such as "Chartered Building Surveyor" or "Chartered Quantity Surveyor", depending on their chosen specialist qualifications and field of expertise. Through RICS' credential and professional standards, it creates confidence in markets and is known for effecting positive change in the built and natural environments. 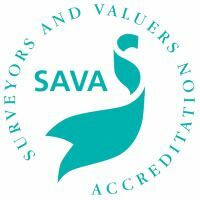 The RPSA is a representative body for independent specialist residential surveyors who are accredited by the internationally recognised Building Research Establishment (BRE) and Surveyor And Valuer Accreditation (SAVA), which is part of National Energy Services (NES). The RPSA is dedicated to working for its members to deliver a range of surveying products of the highest possible quality to serve the needs of consumers. The Home Condition Survey (HCS) is the first of these products, which is now being distributed nationally through a specially created panel working with homebuyers' conveyancers. NES - National Energy Services Building in Milton Keynes We are a team of software developers, environmental scientists, building services engineers, building physicists, business management specialists, statisticians and residential surveyors. NES are based in Milton Keynes at the National Energy Centre, a building designed to high energy efficiency standards.